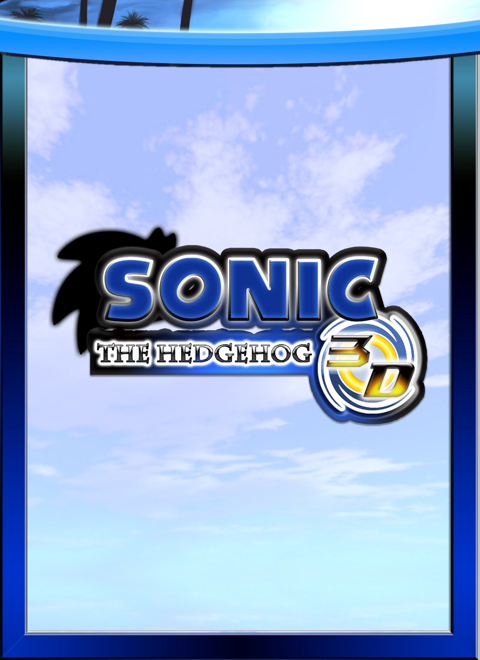 Sonic the Hedgehog 3D is a free fan game about a famous SEGA mascot, Sonic, and it is made on Build Engine with additional EDuke32 port. The game was inspired by two classic Sonic series: Mega Drive/Genesis and Sonic Adventure series. The game's development began a couple years ago, and first it was fully developed by Zykov Eddy, but later a small team was created to help the main developer. If you like Sonic games or indie platformers, be sure to download and tell what you think! If you have any problems with the game, just PM me and I'll try to help. Good luck and stay tuned for more updates! STH3D is probably my longest running project ever. I started it years ago when I was a Sonic fan and since then it was improving. Most of the time I'm working on the game alone, but I wouldn't complete it without help of my friends. I also want to mention a great fan game called Sonic Robo Blast 2, which was inspiring me a lot during these years. The game is made on an classic Build engine by Ken Silverman and it uses the EDuke 32 port. The game is free and you can run it on Windows, Linux or Mac. You can also play it with joystick, thanks to the extensive configuration. Hope the fans of Sonic games and indie platformers will enjoy STH3D. If you have any problems with the game, just PM me and I'll try to help. List of updates: * New redrawn intro! * Fixed bugs and control issues. * Slightly updated levels. Version for Mac OS X. Don't forget to read the manual before playing. Version for Ubuntu 12.10 AMD64. Don't forget to read the manual before playing. Version for Ubuntu 12.10 x86. Don't forget to read the manual before playing. Windows version. Don't forget to read the manual before playing. The Mac download link has been blocked!! how do i unlock the bonus levels please tell me i complete the game but how do i get bonus levels i just dot know how. i've only found 5 emeralds. >:U WHERE ARE THE OTHER ONES. HELP ME PLZ!!! In the bonus level. You need to unlock the bonus level and the last two emeralds are at the end of the bonus level.